According to Jupiter Research, revenues generated from enterprise software-as-a-service (SaaS) will reach $53.8 billion in 2018, up from $23.2 billion in 2013. There is little doubt that SaaS is the wave of the future and is significantly changing for the better the way software is delivered to both companies and users. However, the increase in SaaS has brought with it a new set of challenges for software providers, as they now have to address additional areas, not just those associated with building the software. The issue of data locality is one that was created with the introduction of SaaS, as with on-premises software, this issue is usually left up to the customer. Many countries have implemented strict laws governing the way user data is transferred and stored, and now require companies to host user information in the same country within which it is collected. This means SaaS providers have to comply with new data laws and take certain steps to meet this criteria, such as setting up data centres in countries where their users are located. One of the biggest and most valuable advantages of SaaS for users is the ease and cost-effectiveness of upscaling and downscaling. When a SaaS user experiences an increase in traffic and usage, their service can instantly scale up (usually horizontally) and accommodate for this additional usage without affecting the performance of the service. In the case of on-premises software, a sharp and large increase in usage results in the hardware requiring upgrades (setting up additional servers, etc. ), which can not only end up being more expensive, but can also add additional time to the upscaling process. In most cases, the cost benefits associated with upscaling SaaS is another major advantage to customers, as they can upscale and downscale when needed and still only pay for what they use. The issue of upscaling for SaaS providers means that they will now be required to have a robust setup allowing their users to scale up and down with ease while remaining free of performance issues. This will require either horizontal scaling (adding additional servers), vertical scaling (making the server bigger), or a combination of both. Traditionally, installing on-premises enterprise software is generally quite technically intensive, as it requires configuring and setting up the environment and software. 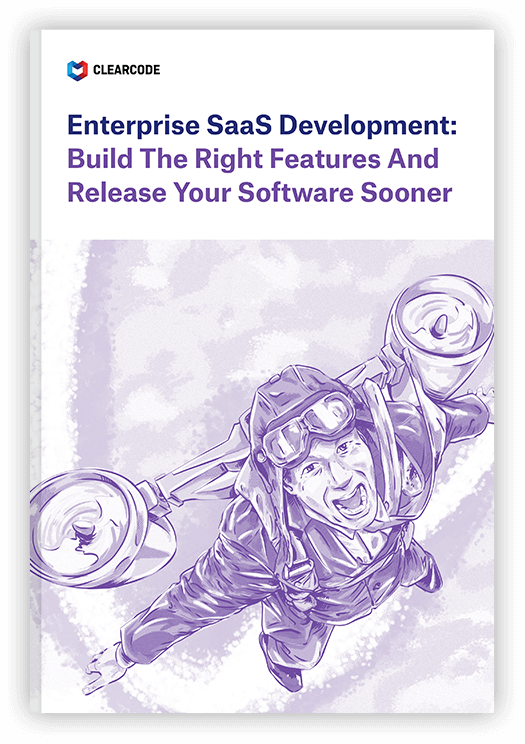 SaaS, on the other hand, just requires the user to complete a series of steps to access the software. However, SaaS providers need to consider the complexity of these steps and the varying technical experience and skills of the user. In order to ensure SaaS is as user-friendly as possible, providers will need to offer clear instructions and make the setup process as easy and quick as possible. A large part of this client onboarding stage requires a step-by-step setup approach that can be followed by even the most non-technical, novice user. Another compelling advantage of SaaS compared to on-premises software is the seamless delivery of new versions to users. SaaS providers can simply push out a new version of the software to all users at the same time that contains bug fixes, new functionalities, and enhanced security features. For business using SaaS, they can receive new versions of the software without having to spend time upgrading it themselves, as it is all handled by the provider. Even though the upgrade process is certainly easier for SaaS compared to on-premises software, there is still a fair amount of work and planning that SaaS providers need to complete in order to provide users with regular and seamless upgrades. SaaS providers also need to consider the possible implications the upgrade’s actions could have on the user’s environment and service, such as possible performance issues during the upgrade. The saying prevention is always better than a cure could not ring more true for software providers. In the case of on-premises software, the onus of security falls on the organization using the software. In the SaaS world, that onus is held purely and solely by the SaaS providers, as they are the ones collecting and storing user data. Therefore, it is paramount that the security and data-protection policies and procedures are able to prevent and protect against security attacks. When hosting SaaS, the system administrators must support and monitor the software with security in mind and focus on preventing security breaches, rather than addressing them once they have been detected. By following security best practises and adhering to security frameworks, SaaS providers can maintain secure applications that protect both the privacy and data of their users. SaaS provides a higher level of support, maintenance, and monitoring compared to its on-premises counterpart. The support offered to SaaS clients is much more responsive, and users benefit from having unlimited support and advice, as opposed to on-premises plans where support time is usually limited. SaaS requires smarter and more dedicated monitoring, maintenance, and responsive support, as they are key elements to a better user experience. Designing, building, and maintaining software-as-a-service requires dedicated and expert knowledge. Our designers, developers, architects, and sysadmins understand the unique requirements that SaaS demands. Click here to learn more about how we can help you make your next SaaS project a success from day one!